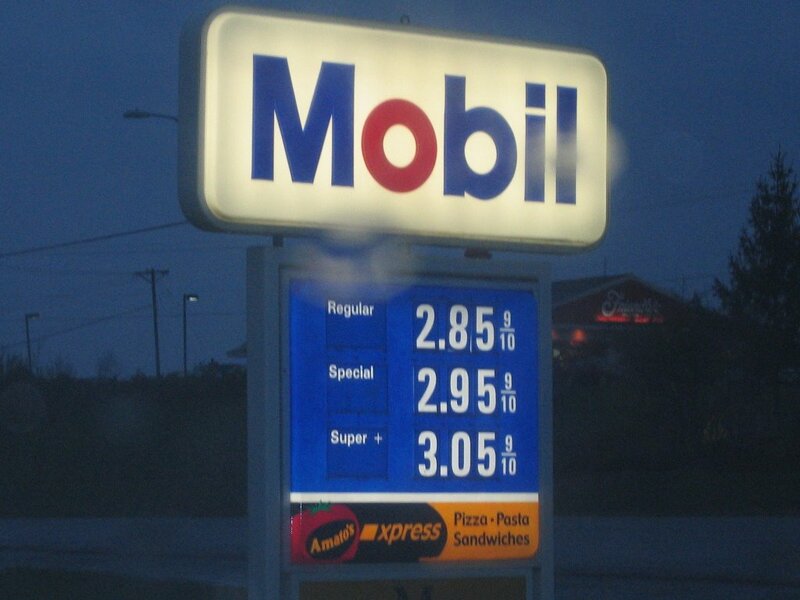 These are the current gas prices on Saturday, April 22, 2006. Regular gas at $2.85 USD per gallon. Apparently, we'll be paying over $3.00 per gallon by Memorial Day. I think it's time to start investing in a horse and buggy! The smudges on the picture is caused by rain drops.